Illhan Omar is running for U.S. Representative from Minnesota’s 5th congressional district. Black to the Future (501c4) is proud to announce our first political endorsement for Ilhan Omar — the highest ranking Somali American, Muslim woman in US politics — for Minnesota’s 5th Congressional District. Politics today are as challenging as ever. That’s why we need to be clearer than ever about who will work for our interests. It is never enough to endorse candidates because they are Black, because Black power is not as simple as having Black people elected to public office. It is critical to endorse Black candidates who are committed to advancing progressive policies that can transform the lives of Black people. Ilhan is one of these candidates and we are excited to endorse her. Ilhan Omar is a woman with a vision for how to improve the quality of our lives. She is the first Somali American woman to be elected to the Minnesota state legislature, making her the highest ranking Somali American woman in US politics. 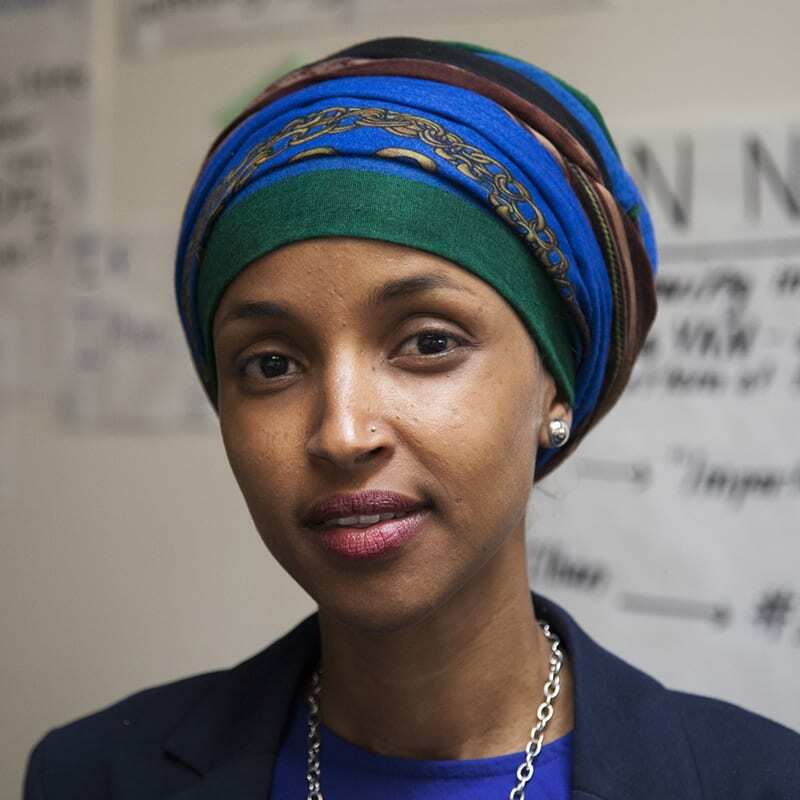 When she is elected to the US Congress, she will be the first Somali American, Muslim woman to ever be elected to that office. Ilhan has proven that she is a champion for progressive governance and we need this leadership in Congress more than ever. What she has done while in office is impressive, and important for our communities. She passed $10 million for public housing rehabilitation, as a part of a $77 million bill to improve housing. She has expanded childcare grants for students who are parents, and fought for those parents to receive a tax credit for childcare. She increased funding for summer enrichment programs for low income students to have a pathway to higher education. She helped to pass a $15 an hour wage in Minnesota with paid sick days. Ilhan is a progressive leader who solves problems with smart policy. She is an organizer and a movement builder, alongside being a policymaker. We need more people elected to office who know how to build consensus, bringing people together to solve the challenges facing our communities, while placing those who are most impacted at the center of those movements. Her leadership is the kind of change we believe in. It’s about time we were able to cast a vote for someone who shares our vision for the present and for the future, who knows how to get us there, and who is already working to make sure we get there, together. We can trust Ilhan to do what’s right in Congress. Black to the Future Action Fund is the political arm of the Black Futures Lab. We transform Black communities into constituencies that build independent, progressive, Black political power in cities and states.